India, generally termed as the sub-continent which is rich in culture and heritage, has amazing natural beauty. Rivers, lakes, plateaus and forests add to the beauty. But the beauty is not complete without the presence of wildlife species in nature. The extinction of many wildlife species due to human activities created an imbalanced ecology. It is the duty of every citizen to protect nature and wildlife, thereby creating a better future for tomorrow. As you know, Tiger is the National animal of India. Due to its shape and structural beauty, it stands out among other animals. Tiger is a carnivorous species and the scientific name is Felis-Panthera-Tigris. The various kinds of tigers are Bengal, Amoy, Sumatra, and Javan. Siberia is considered as the birthplace of tigers. But the extinction of tigers has been predicted long for many years now. By the end of 19th century, 40000 tigers were there according to survey and it reduced to 2000 recently .”Project Tiger” has come into existence and helped to save many, especially the rare white tigers. This motive aims to create a secure habitat for tigers. There are mainly 13 states that aim for protecting tiger by establishing reserves. Some of the tiger reserves in India are discussed below. Jim Corbett National Park is situated in Uttarakhand came into existence as a National Park in the year 1936. The park was named in memory of Jim Corbett is the name of a famous hunter and conservationist. It is situated at the base of Himalayas and banks of river Ramganga. It is one of the tiger reserves that provides a wonderful experience. The park is famous for Bengal Tigers and it was the first National Park to come under ‘Project Tiger’, an initiative to protect endangered species. The tiger reserve has been divided into 5 regions: Dhikala, Bijrani, Jhirna, Domunda, Sonanadi. Safari rides are great from this park. Elephant rides make a great adventure. You can discover varieties of birds and animal species and engage in adventurous activities like rafting, river crossing. Accommodation is not a problem when you visit the park, wildlife resorts are there to welcome you. Sunderban Tiger Reserve is situated in West Bengal. It is also a home of Royal Bengal Tigers. The park includes endangered species that includes some aquatic mammals and reptiles. It is also a world heritage site approved by UNESCO and one of the largest mangrove forest in the Indian subcontinent. There are nearly 400 tigers, 248 bird species inside the reserve. The coverage of natural boundaries with rivers makes an absolute heaven for travelers. The main attraction of this tiger reserve is boats that are used for transportation and sightseeing instead of jeeps through roads. September to March is the best time to visit. 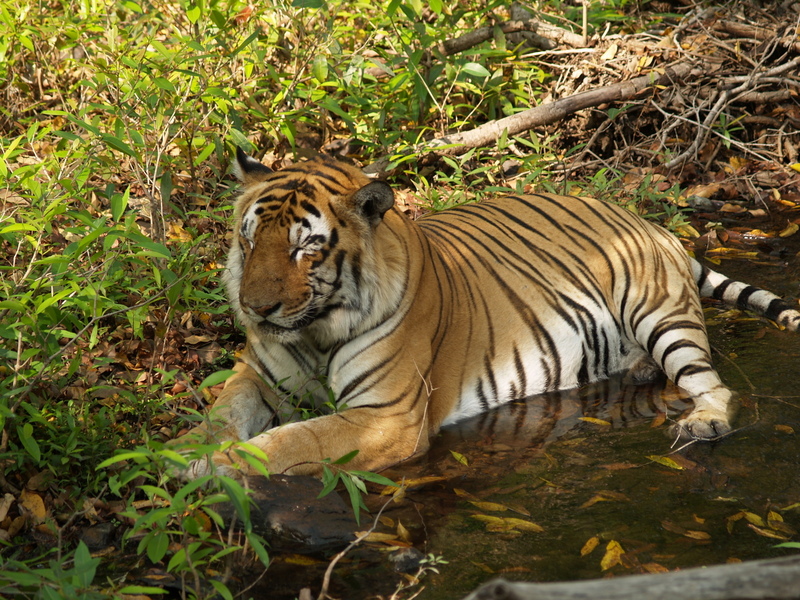 Bandhavgarh National Park is one of the famous tiger reserves in India. It is located in Umaria district of Madhya Pradesh and nearby premises of Bandhavgarh Fort. It is a home for Royal Bengal Tigers. Bandhavgarh is a breeding spot for many leopards and various types of deer. Besides tigers, Bandhavgarh possesses tigress named Sita which was once the second most photographed tiger in the world appeared on the cover of National Geographic. There are rich backgrounds, sharp hillocks. The best time to visit is February to June. Sariska Tiger Reserve is situated in Rajasthan. This is also a spot for Bengal tigers, leopards, and crocodiles. It consists of deciduous forests, plenty of reptiles and birds. The reserves where you can find Egyptian vultures. Aravalli hills stand near the Sariska and the Siliserh Lake which makes an ideal weekend getaway. The best time to visit is October to January. Periyar Tiger Reserve is located in Kerala. This tiger reserve is one of the most beautiful tiger reserves in south India because of its enchanting surroundings and biodiversity. An artificial lake has created by Britishers add to the beauty of reserve. There are around 40 tigers and a majority of wildlife species you can see is elephants. The beauty of mountains is worth a watch. The best time to visit Periyar is November to February. Ranthambore Tiger Reserve is located in Rajasthan. It is one of the largest national parks in the country. This was the previous hunting destination of Jaipur Maharajas. 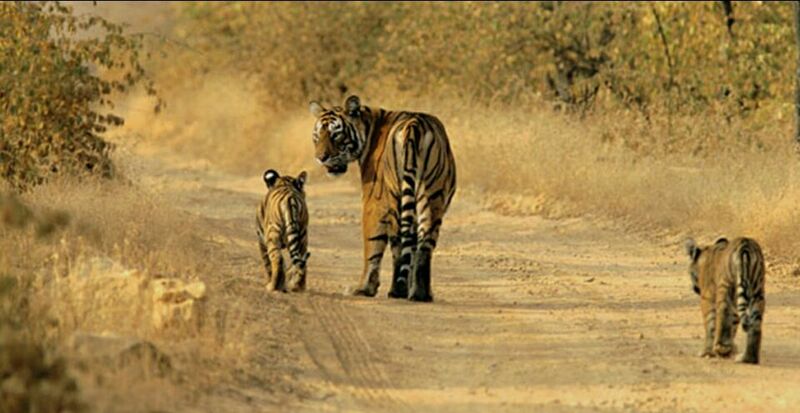 Ranthambore is the destination for tigers, leopards, foxes, hyenas, crocodiles. The place is famous for diurnal tigers and you can see a wide variety of species. It consists of panthers too. The ideal time to visit the park in February and March. Panna National Park is situated in Madhya Pradesh. It is one of the best national parks which is a home for many tigers, leopards, 200 species of birds and a variety of reptiles. Pandav falls and Ken river is nearby the park which provides amazing views for the travelers. The famous Khajuraho is situated near the park. Tourists can enjoy at both destinations. The best time to visit is December to march. Kanha Tiger Reserve is situated in Madhya Pradesh. This was established in 1955 with a motive of protecting endangered species. The name Kanha is derived from the clay. The Banjar forest and Haron valley adds to the beauty of the reserve. There are also grassy meadows which also gives a scenic beauty for the nature lovers. The best location here is sunset point called Bamni Dadar. You can find tigers, bison, chital and swamp deer called Barasingha, which is one of the endangered species only found in Kanha. April, May, June is the best time to visit Kanha tiger reserve. Bandipur National Park is situated in Karnataka, also a place for private hunting of Maharajas of Mysore. It is a dry, deciduous forest which consists of a small population of tigers. It is the one and only largest habitats of wild animals in South Asia. It is located between Deccan Plateau and the Western Ghats which offers a great scenery. It consists of a large number of flora and fauna. Varieties of wildlife species like tigers, pythons, and elephants reside in the park. You can visit places like Ooty, Coorg which is nearby and stay at jungle resorts. Nagarhole National Park is situated in Karnataka. One of the best wildlife sanctuaries in south India. It is also known as Rajiv Gandhi National Park name after late Prime Minister Rajiv Gandhi. You can discover a wide variety of flora and fauna. This is one of the National Parks that aims at protecting tigers, though the park is a home for tigers, leopards, elephants , snakes, and varieties of birds. It spreads across Kodagu and Mysore districts of Karnataka. Earlier it was a hunting ground for Kings of Mysore. The park has rich forest cover, hills, small streams, valleys, and waterfalls. Coracle boat riding is also available. Accommodation for travelers is available at nearby jungle resorts. The above reserves are some of the important tiger reserves in India that serve as the home for tigers. It is the responsibility of every citizen to conserve wildlife. Hopefully in India, the tiger will continue to stand tall, as a proud animal for our nation.